Shoemaker had a trimmed beard at the time of his disappearance. 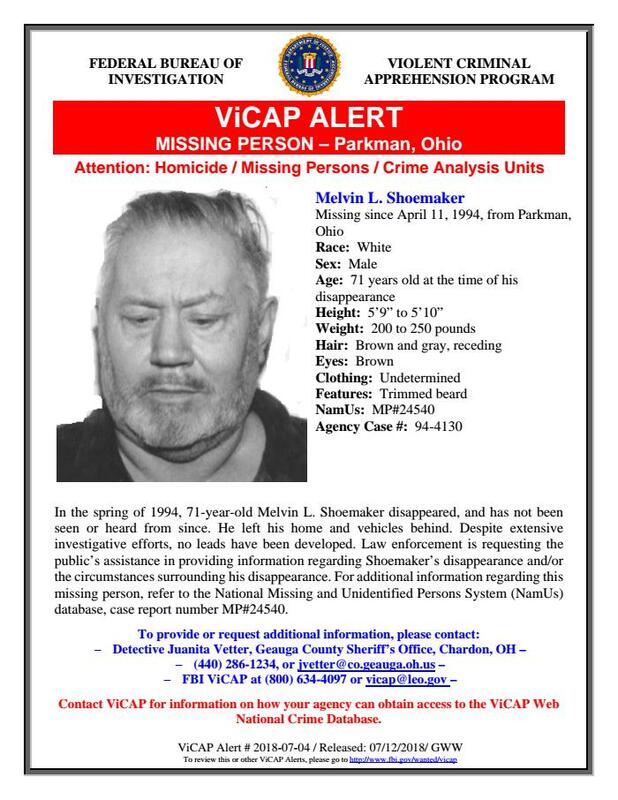 In the spring of 1994, 71-year-old Melvin L. Shoemaker disappeared, and has not been seen or heard from since. He left his home and vehicles behind. Despite extensive investigative efforts, no leads have been developed. Law enforcement is requesting the public’s assistance in providing information regarding Shoemaker’s disappearance and/or the circumstances surrounding his disappearance.